At the 2016 Re(F)Use Fashion Show, the Festival of Arts’s 8th annual runway show, Adam Neeley took top honors for his dress “Maven of the Movies”, worn by model Julie Holmes. 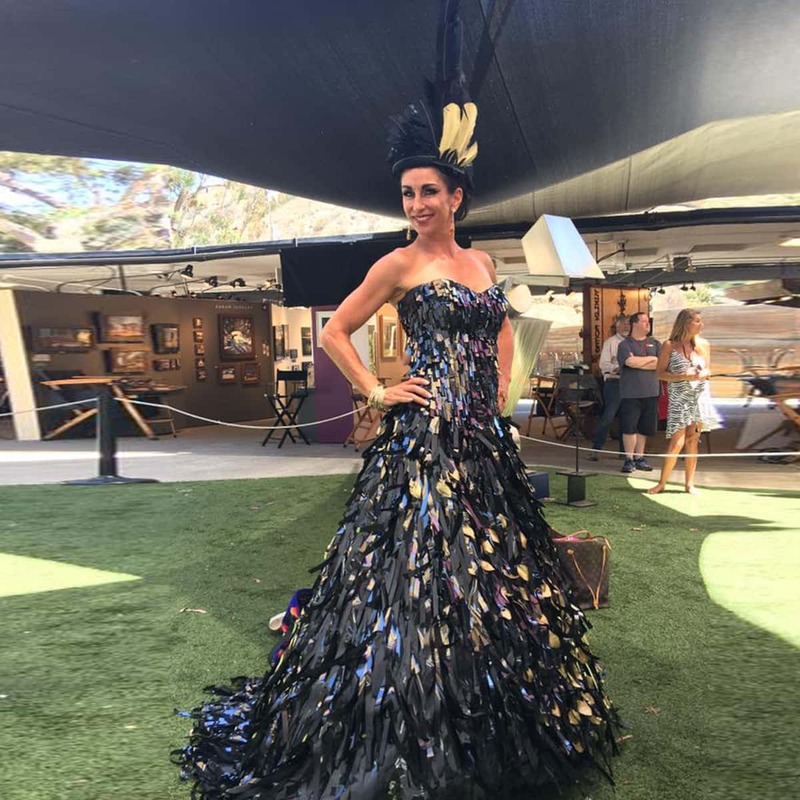 The elegant, award-winning gown was hand-crafted from over 500 feet of VHS tape. 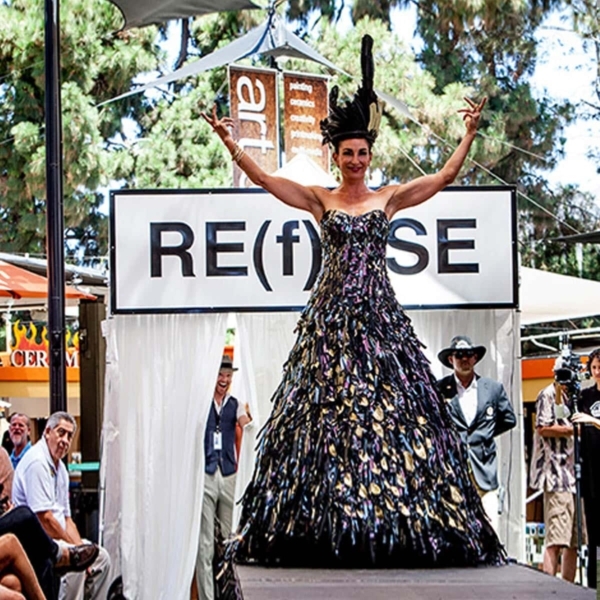 Each year the Festival invites artists exhibiting in their season long art show to design and craft a dress made of reused materials, which would otherwise be trash. 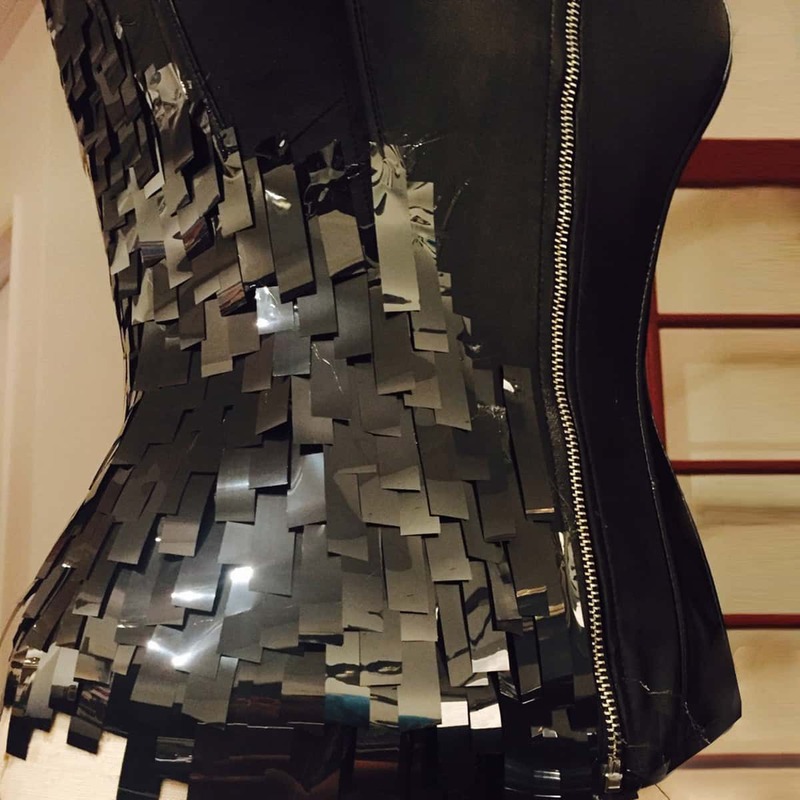 These dresses are then judged on the runway before a crowd. For his creation, Neeley was recipient of “Most Glamorous & Elegant ‘Red Carpet’ Worthy Creation” and “People’s Choice Award”.